Hi! 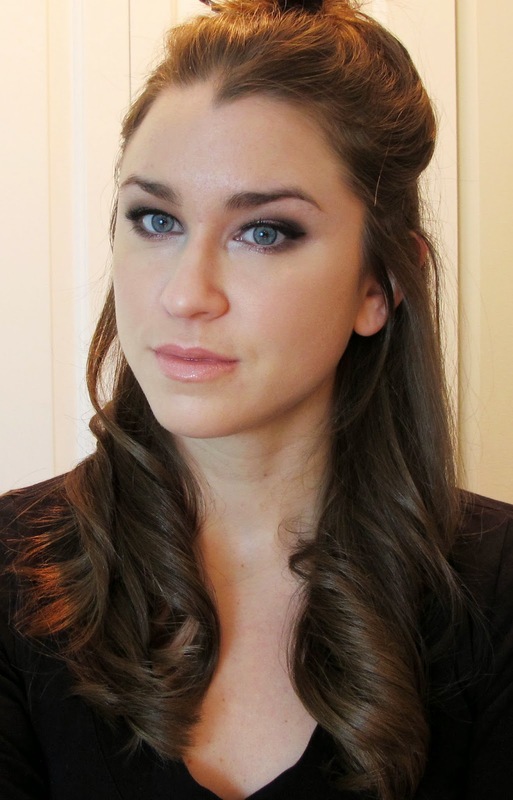 I don't know about you guys but I am always searching for new hairstyles to wear to both work and casual events! 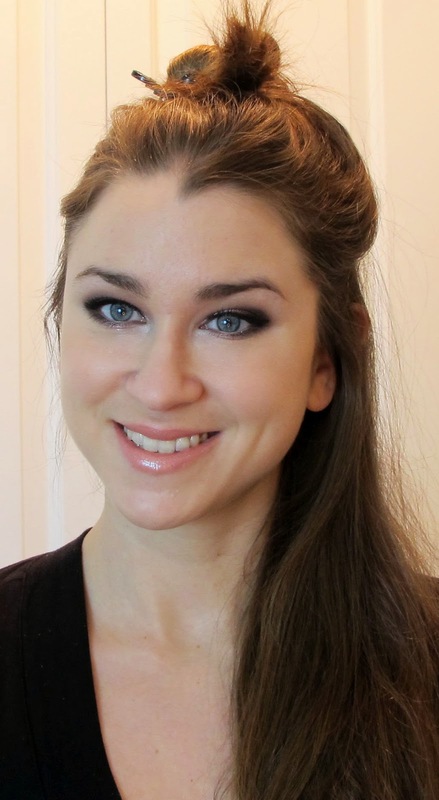 I have always loved the look of a curled ponytail so I decided to try and make one that looks sleek and professional, but not so drab that you can't wear it to Friday happy hour with your co-workers. Hope you enjoy! 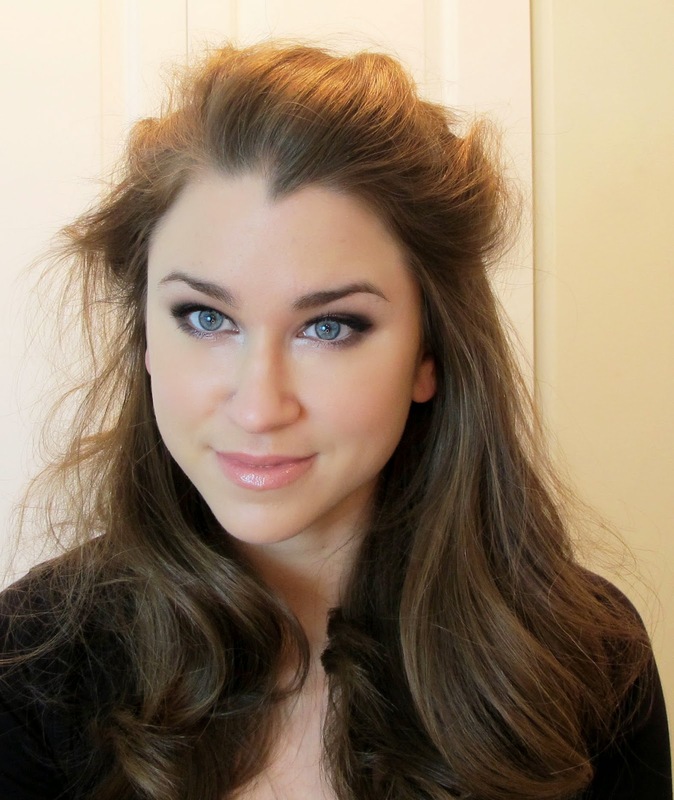 To begin, section your hair off so that you have a manageable amount to start with. 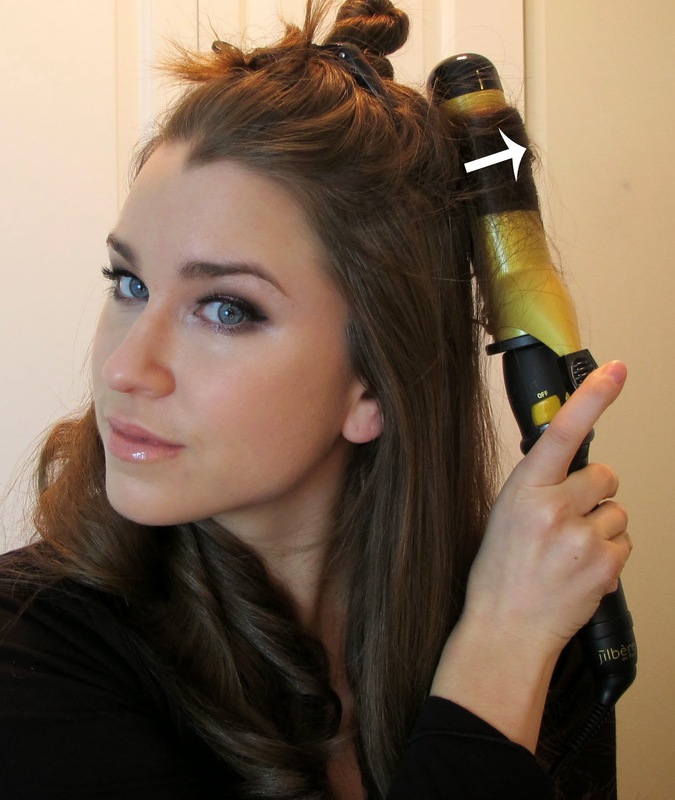 Use a 1" or 1.5" curling iron and begin curling one side of your hair in an outward direction. 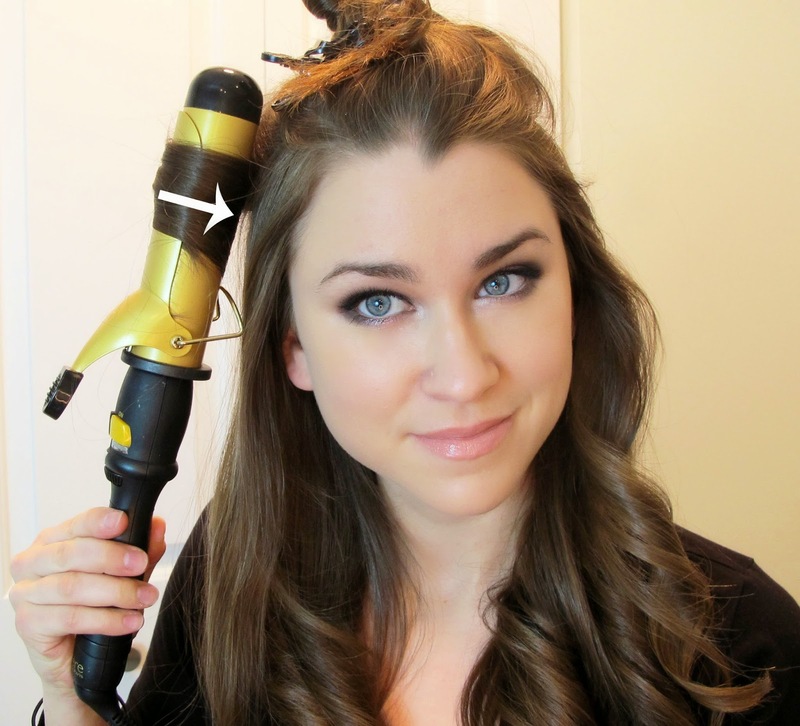 Curl the opposite side of your hair in the OPPOSITE direction that you curled the first. 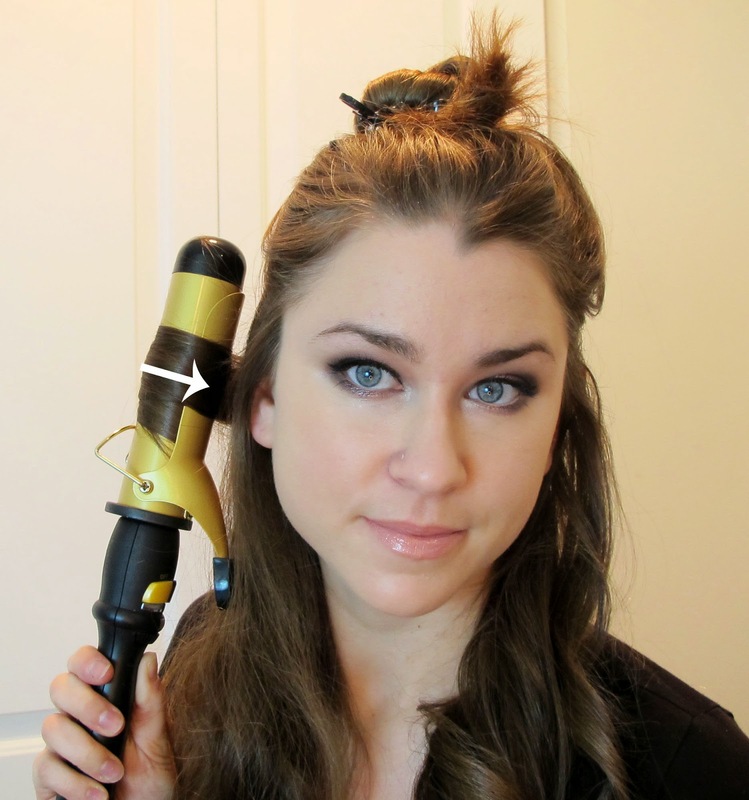 So you curled one side outward, curl this side inward. 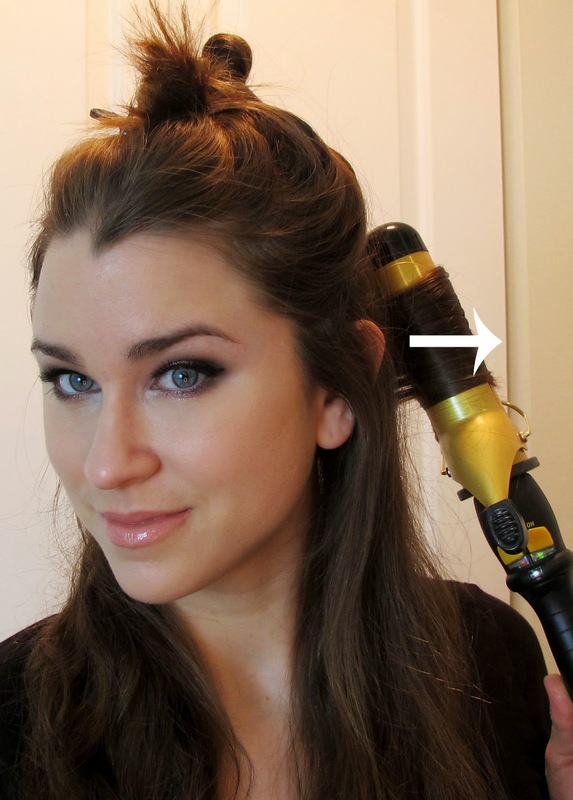 This will ensure that your pony tail will form in one cohesive direction. 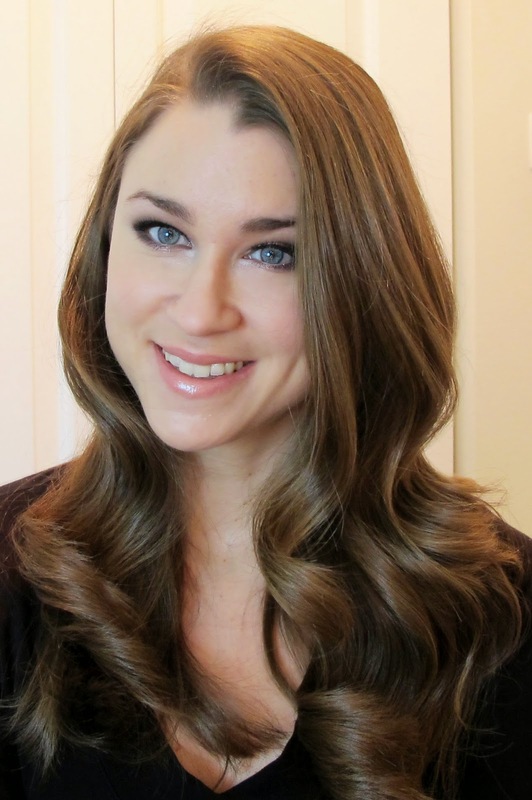 Take down the next section of hair! 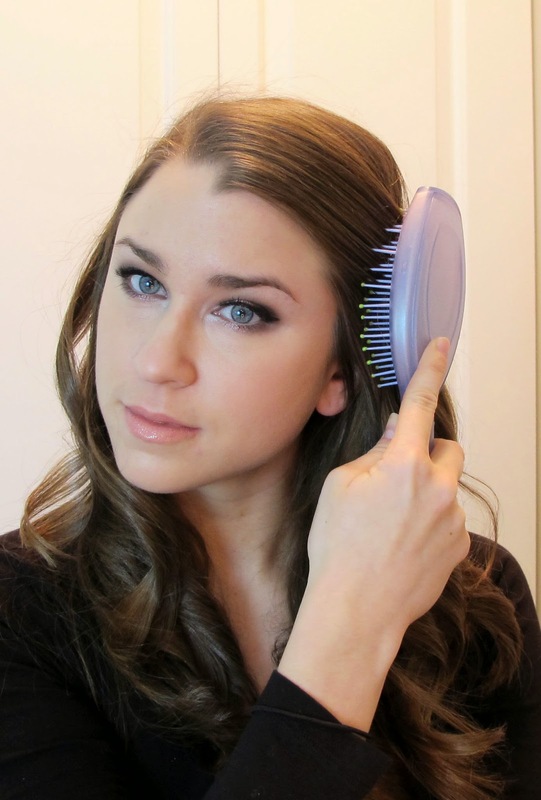 Repeat the process, curling the same sides in the same directions that you did for your first layer. 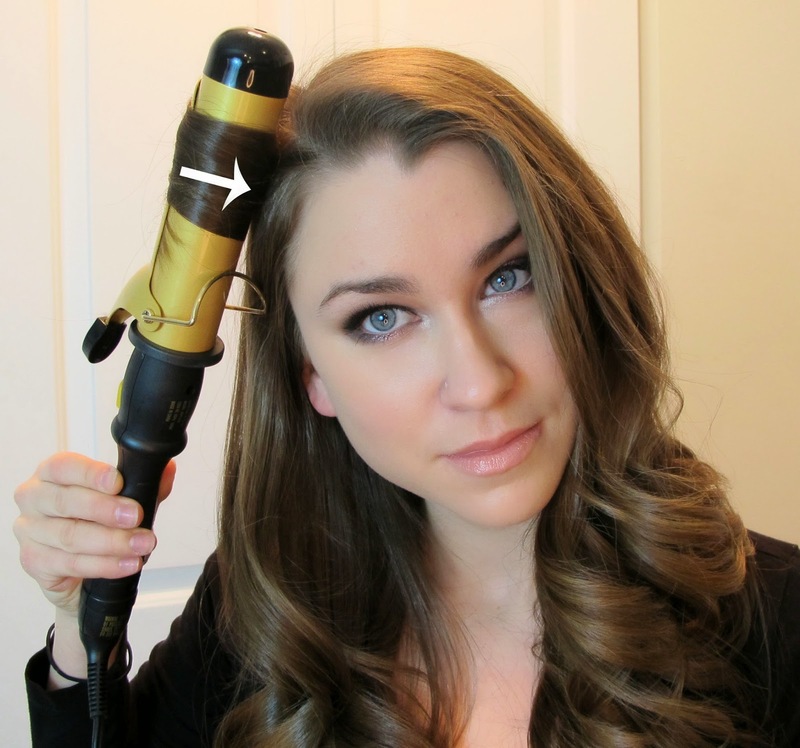 Now your full head is curled. 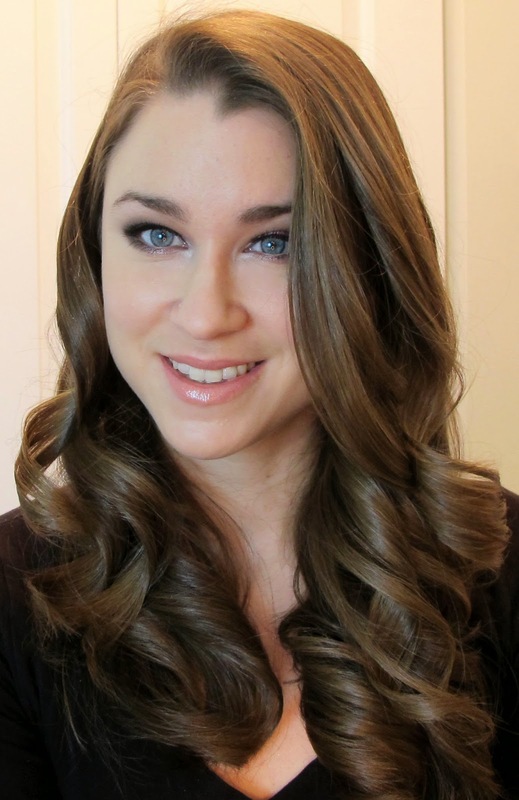 As you can see, on the right side the curls are going outward and on the left, the curls are going inward. Now, brush out all the work you've just done! Tease the hair on the top of your head. 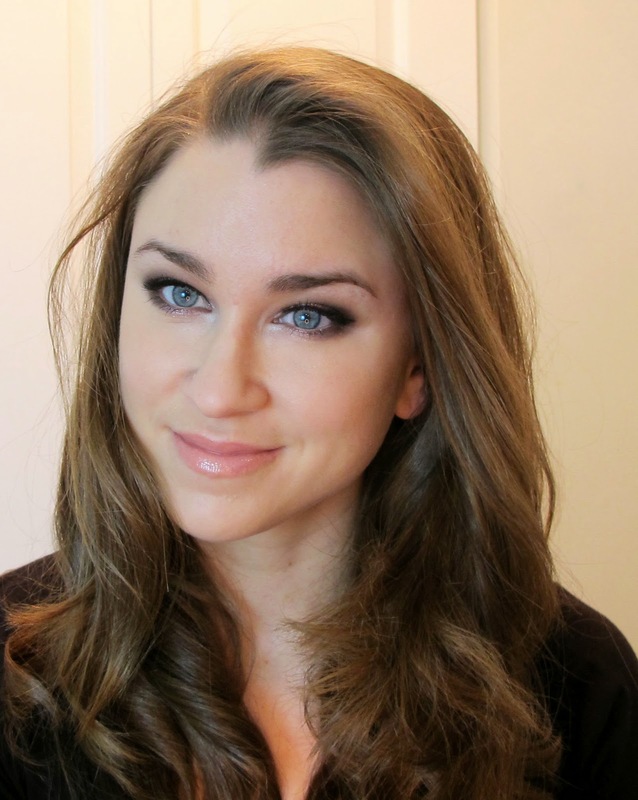 My hair doesn't tease well, so I can't get a lot of volume, but even just a little is helpful for the look! 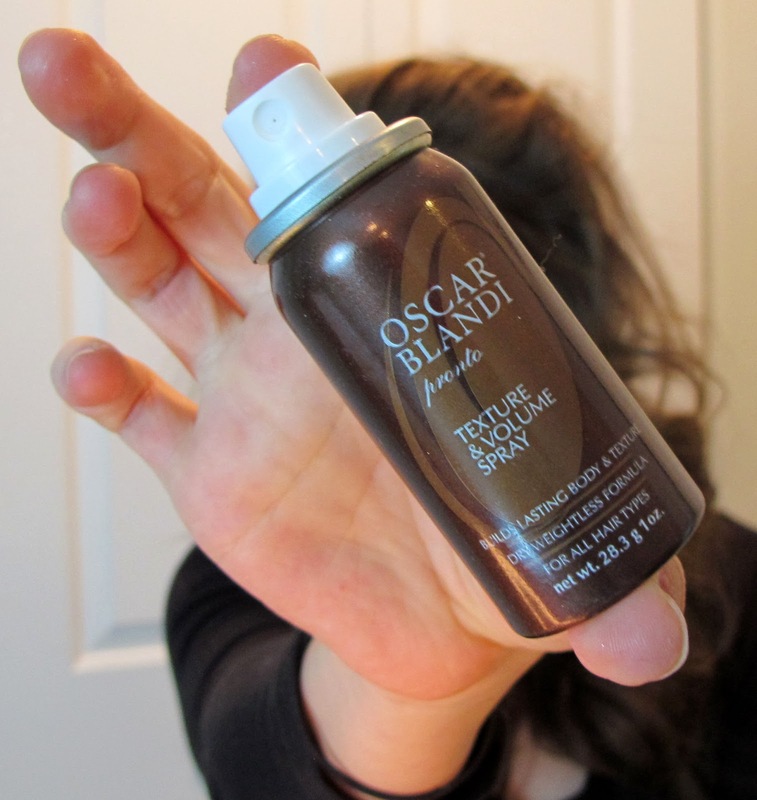 For added lift, spray the roots of the teased hair with Oscar Blandi Texture and Volume Spray, or some other texturizing spray. Next, put on a nice, sparkly headband. 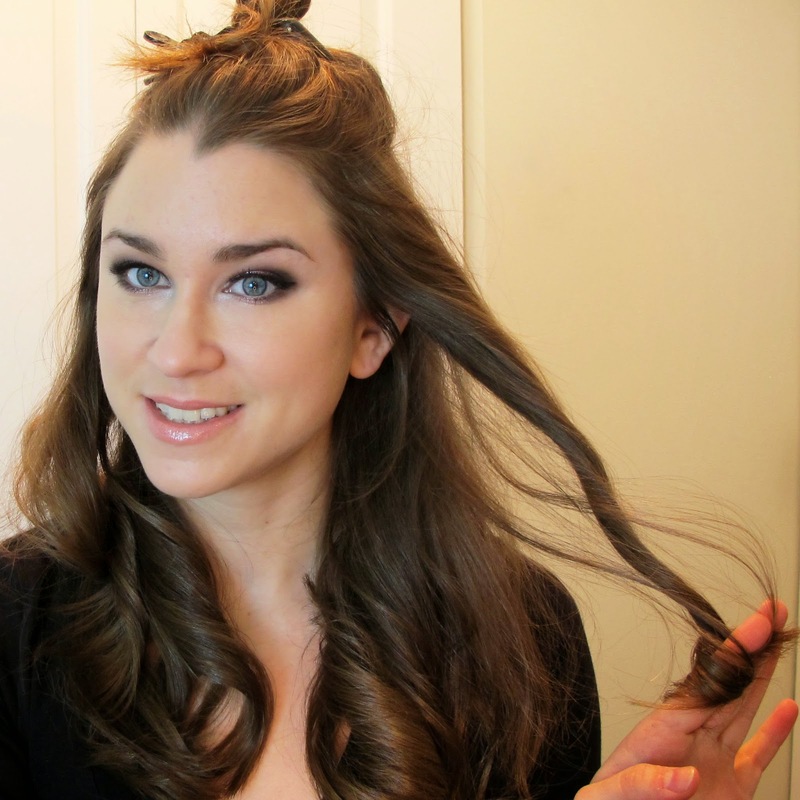 Collect the hair in a low ponytail and smooth out the teased area so you have volume but no bumps. And your done!! Pretty simple and very classy. 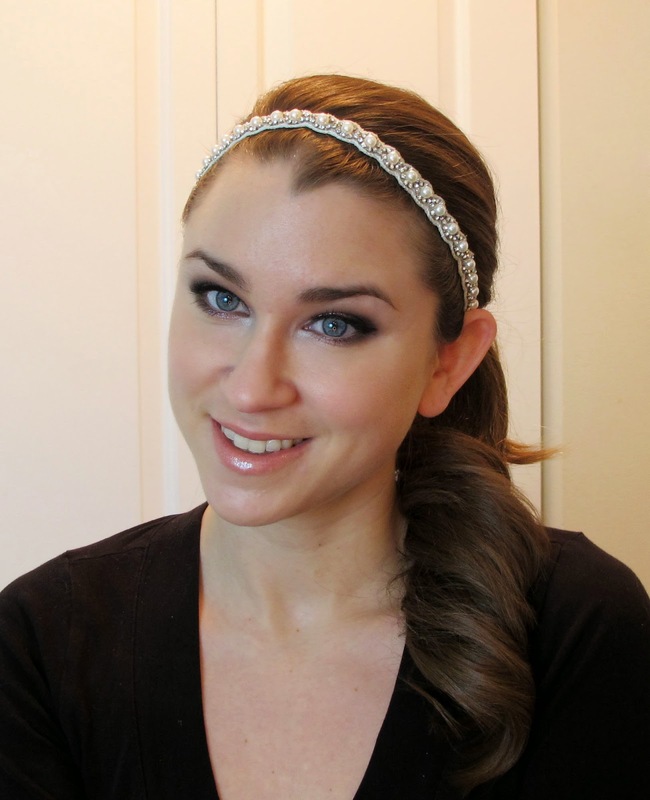 Love this helpful tutorial, and I am crushing on that headband !! 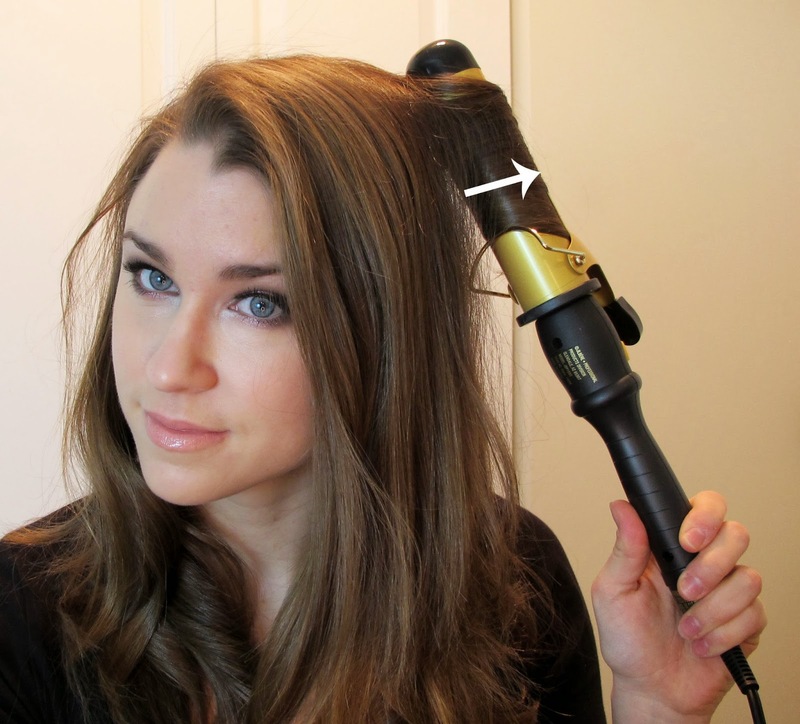 The perfect touch to your hairstyle!